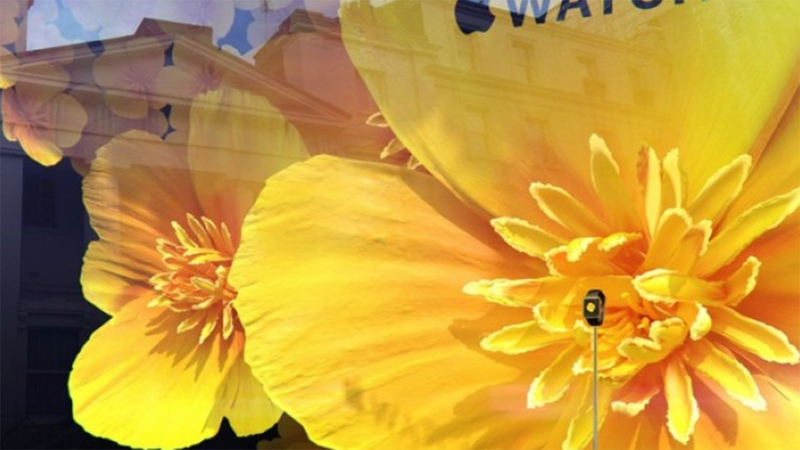 Apple has launched a blossoming floral installation taking over all 24 windows of London’s iconic Selfridges Department Store to promote the Apple Watch. 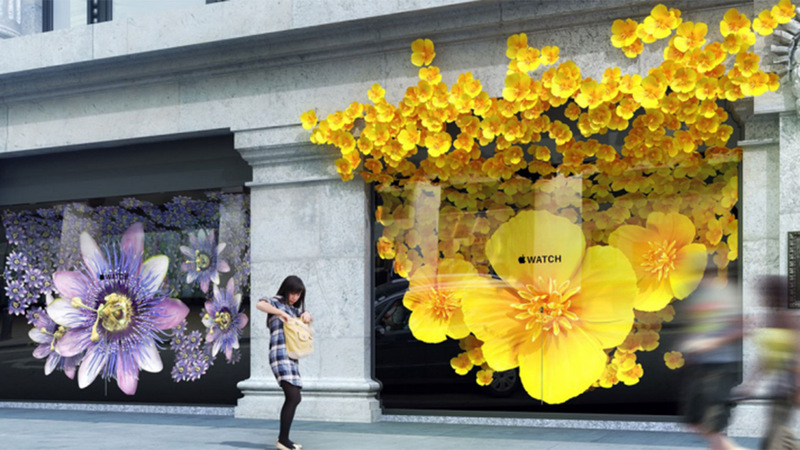 The installation, which marks the launch of Apple’s store within Selfridges, features a collection of 3D blooming flowers inspired by the flowers that are found within the “motion” face of the watch. 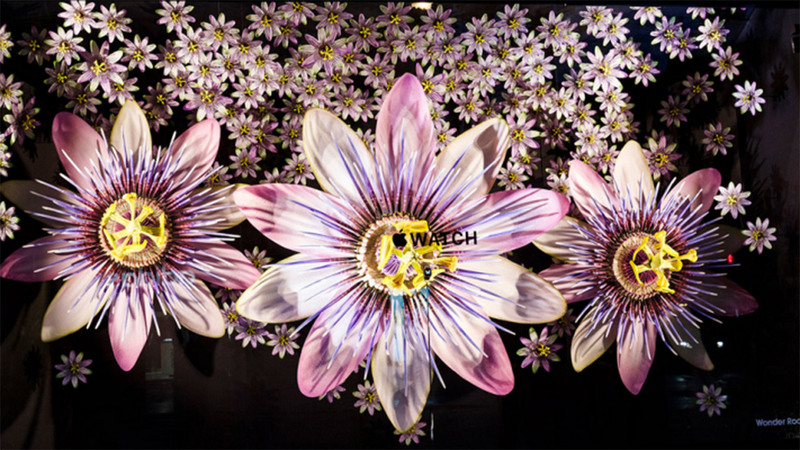 The blooming flowers installation features flowers made from resin and 3D printing as well as displaying an Apple Watch face that matches the flowers. 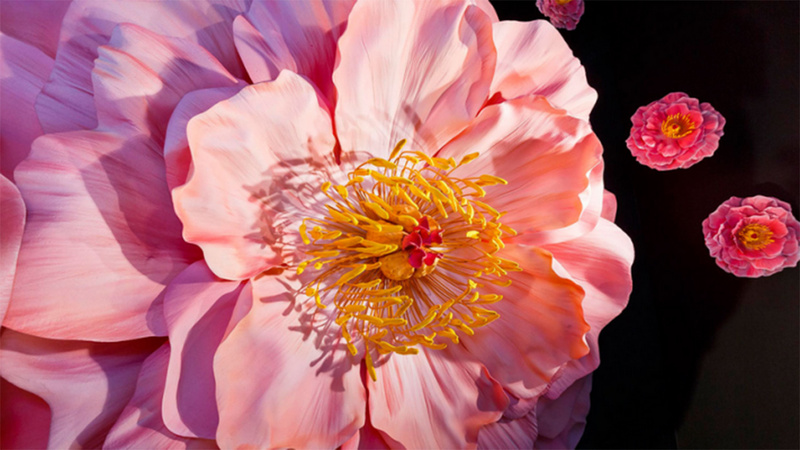 Apple photographed the flowers in stop motion with some requiring more than 24,000 shots over 285 hours. The installations were created by scaling these images which were then sculpted and hand painted by artists. According to Wallpaper: “The ambitious installation comprises a remarkable 24 large, 50 medium and 5,525 small flowers, plus 240 slightly larger ‘small-plus’ flowers, each created via different methods. 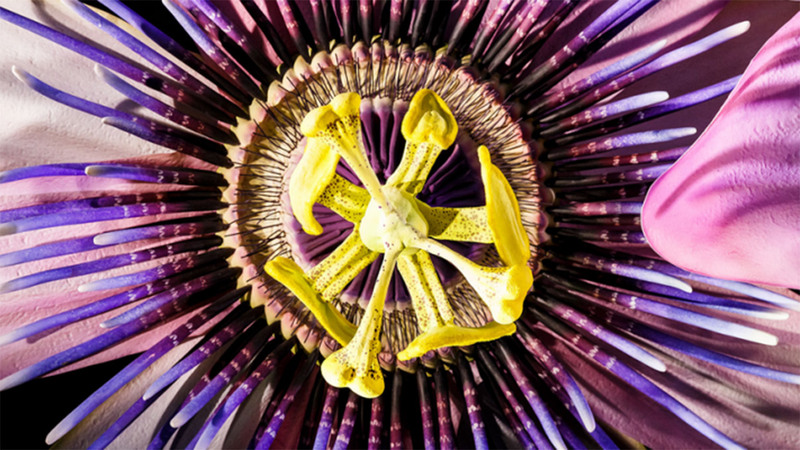 For example, the large and medium flowers were crafted from cast resin, while the smaller components were 3D printed. 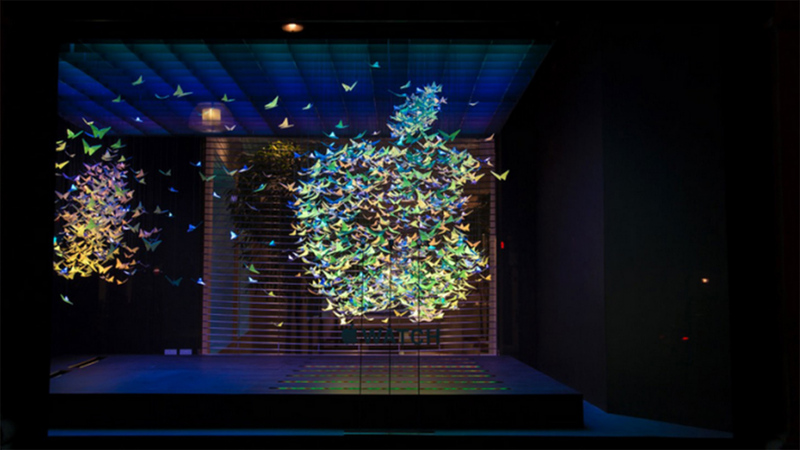 Apple has previously created window displays at Selfridges including ‘Butterflies’ and ‘Chromosphere‘ however, this is the first and only time all of the store’s windows have been dedicated to one product. The Selfridges windows are an iconic artistic display and the tradition stretches back to 1909 when the store launches its first display which was a recreation of scenes from paintings by Antoine Watteau and Jean-Honoré Fragonard. It is fitting then, that this first has been achieved by Apple, a brand known for its trailblazing, category-changing products and marketing. The Apple Watch also marks a change in Apple’s marketing strategy with this product launch targeting the luxury and fashion industries ahead of mainstream consumers. The launch of the Apple Watch was less about queues of people outside the Apple Store and more about high-end luxury retailers – such as Selfridges and its luxury product lounge The Wonder Room. 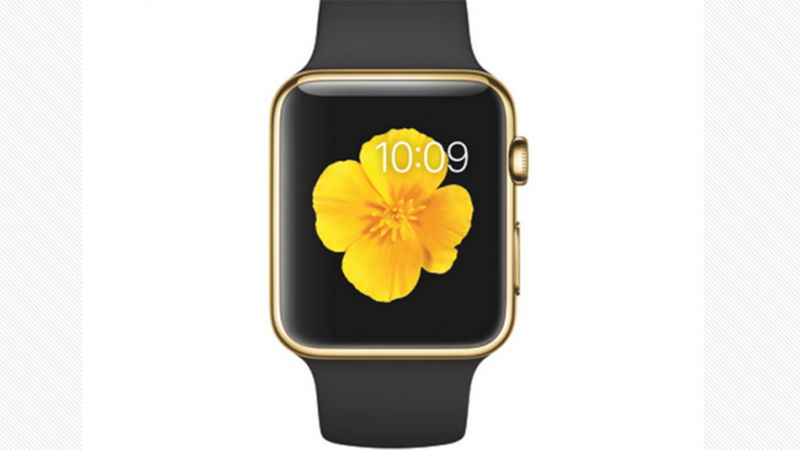 Interestingly on launch Apple Watch’s were only displayed in Apple Stores with staff directing customers online to order and purchase the product, a move which was branded a “classic fashion industry play” by Howard Feller, a partner at retail and fashion investment specialists MMG Advisors, in Bloomberg. The strategic shift is a sign of the impact Apple’s new retail and online sales chief Angela Ahrendts is having on the brand, as she brings her skills and expertise from Burberry to the iconic brand. The installation is a beautiful piece of branded art which seeks to position the Apple Watch as a luxury item that is beautiful and desirable. The aim is to ensure that this product is not seen as a tech gadget but as an exclusive and desired fashion item. This is also reflected in the ads and online films the brand is producing. It’s a beautiful strategy and teaming up with Selfridges sends a very clear message to consumers. Like everything Apple do, the marketing industry will be eagerly watching to see how this pans out.